One of my greatest pleasures as a homemaker is seeing my family eat what I cook every single time. It motivates me to keep making meals for them and feeling proud that they’re eating healthy. 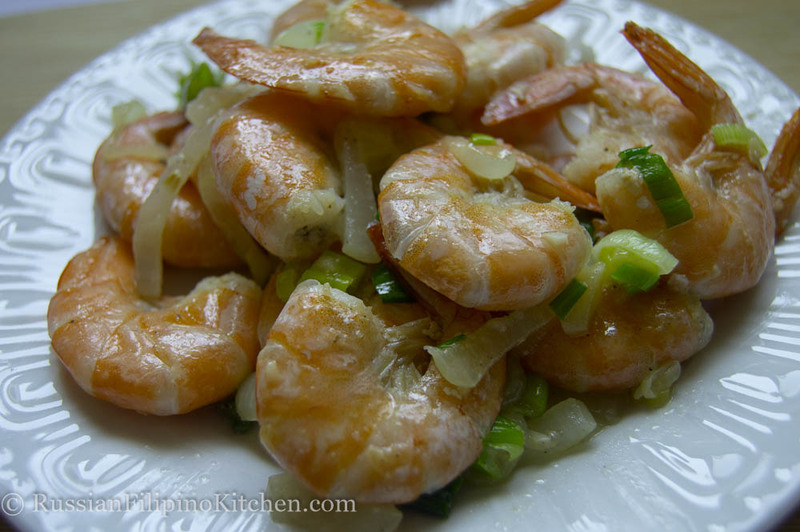 This shrimp recipe is one of our family favorites, especially my husband’s and eldest daughter’s. It’s simple, quick, and flavorful. 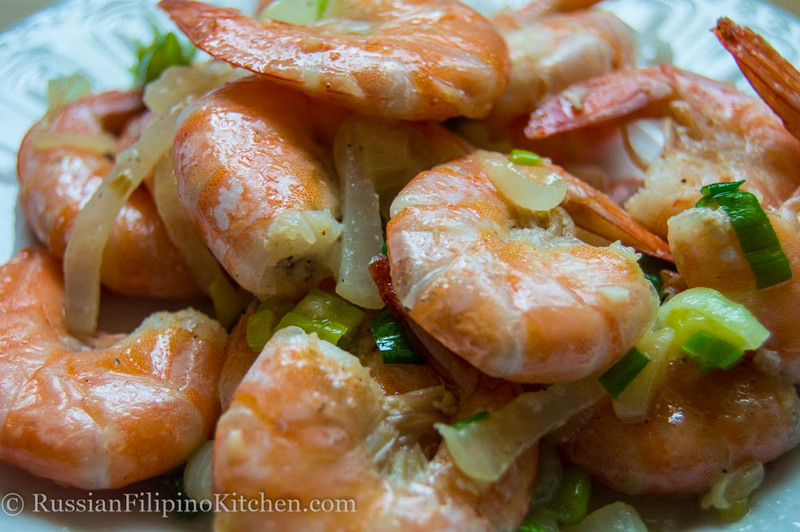 I prefer using headless shrimps with shell on in this recipe. 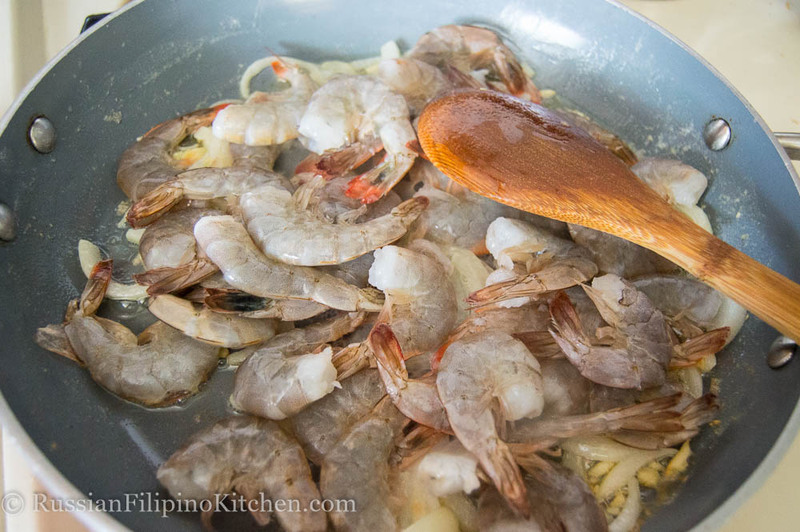 Most people don’t like eating shrimps without removing the shells and veins. But you can absolutely use deveined shrimps if you want. I just don’t want to miss the flavor that the shrimp shells provide :-). 1. Heat butter on skillet and sauté garlic and onions until slightly browned and onions become translucent about 2 minutes. 2. Add shrimp in and sauté for 3 minutes or so until it turns bright orange in color. 3. Add salt, ground black pepper, and cayenne pepper. Sauté for one minute. 4. 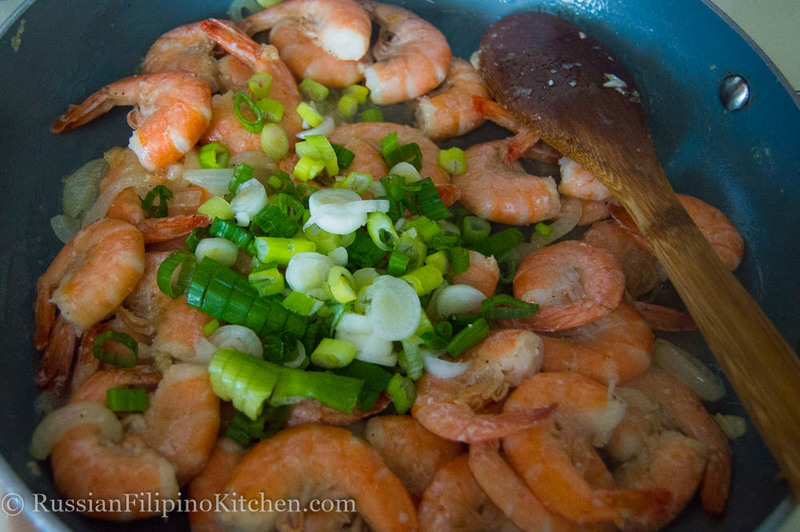 Add green onions last and cook for another minute. 5. Serve warm.